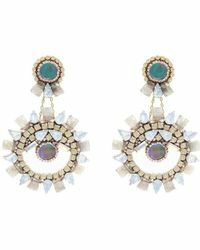 The brainchild of Jay, a fine jewellery designer, and Deepa Lakhani, a fashion accessories expert, Deepa Gurnani was launched a year after the pair got married in 2005. 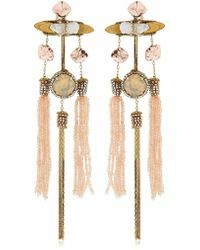 Known for highly embellished handmade headpieces, belts and jewellery, this British label is popular with celebrities, style icons and fashion-forward women around the world. 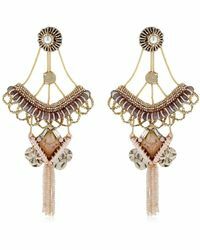 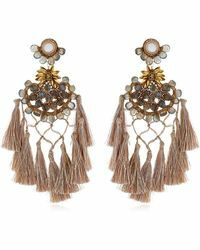 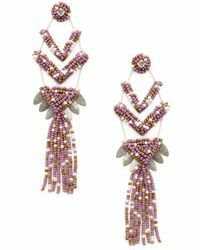 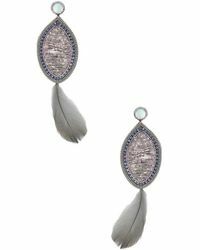 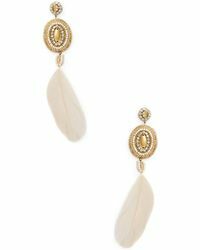 The epitome of boho-chic, Deepa Gurnani earrings are luxurious, eclectic and inspired by vintage trinkets. 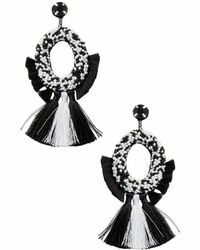 Expertly crafted in crystal, leather and various metals, these bright, bold pieces are the ultimate in statement-making accessories.